Spread the cost from only £79.69 a month with Interest Free Credit. This cosy and supple mattress takes its name from the hand-teased Devonshire fleeces that make up its fillings. Tailored to partner a modern divan, this mattresses blend of natural fibres not only makes it exceptionally comfortable but also means it can regain and maintain its form in the face of repeated use. A soft feel mattress is best for those who sleep on their side, this mattress will form around the body allowing you to sink into the bed. 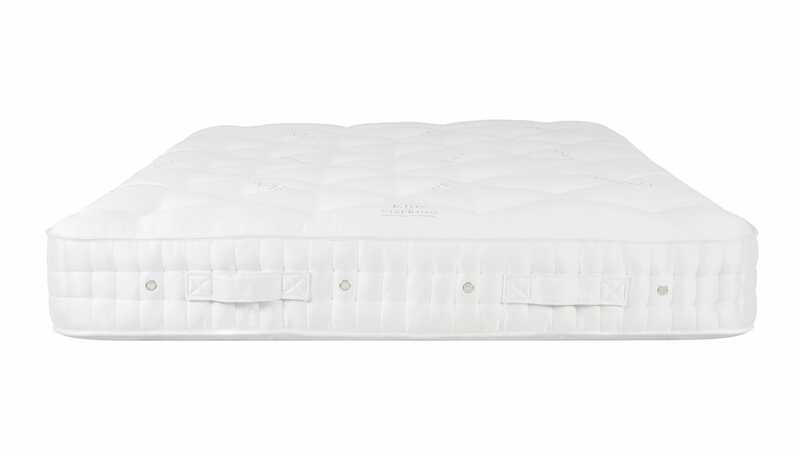 Over 1300 hand nested calico pocket springs adjust and respond to the movement of the sleeper providing independent support and minimising roll together. 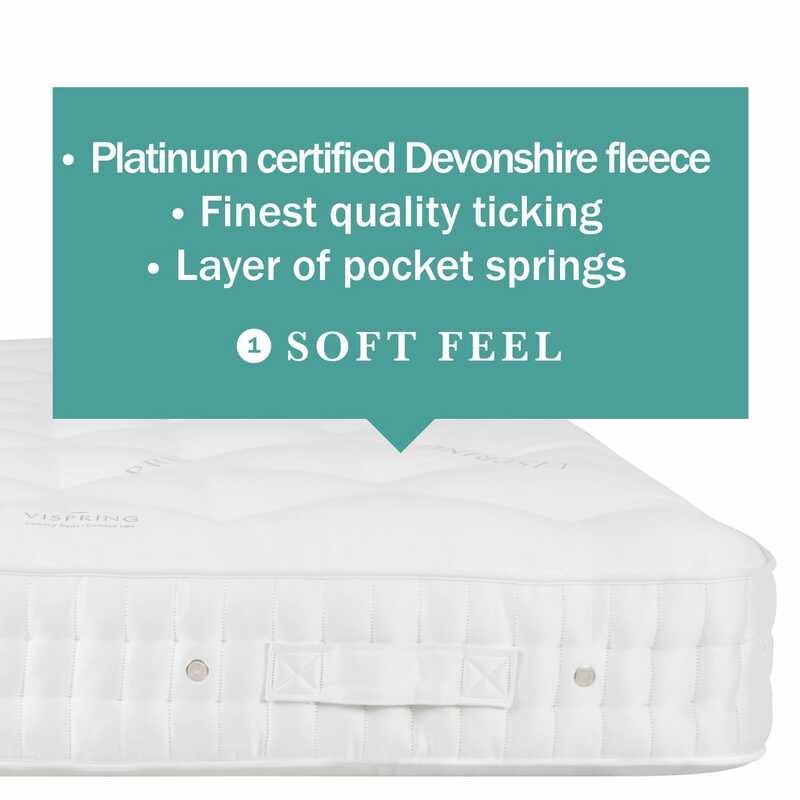 Exclusive natural fillings, including Platinum Certified Devonshire fleece wool, provide sumptuous comfort and temperature regulation. Hand tufting, with felt washers creates the precise level of firmness and keep fillings in place. Mattress Springs - 1,326 luxury pocket springs in 5'0 (150cm), 1.52mm Vanadium steel springs, 54mm in diameter, sewn in individual calico pockets and hand-formed into a honeycomb-nested unit. Mattress Upholstery - Upholstered with 300gsm British fleece wool then 1,700gsm of hand-teased Platinum Certified Devonshire fleece wool. Overlaid with 600gsm of British fleece wool. Covered with the finest quality Belgian ticking from the Vispring collection. Hand tufted with felt washers.